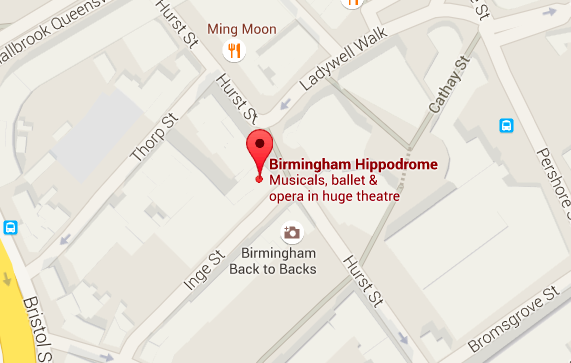 Step into Birmingham Hippodrome on a Friday night, and you can feel the energy. It’s nearly curtain-up, and the place is packed. You notice it long before the lights go down, before you take your seat, before you even step into the beautiful auditorium. There’s a sense of anticipation. A crackle and a buzz in the air. And it’s not just the audience. We’re as excited as you are. Every one of us here loves putting on a show, and we’ll do everything we can to make your visit an unforgettable one. We believe we can all gain something unique from live experiences and our doors are open to everyone. We believe arts and culture have the power to bring people, friends and families together, create memories, and improve the lives of our diverse communities. Everything we do, is powered by you. Our website should give you all you need to know for future and upcoming visits. If you can’t find what you are looking for, please contact us or call us on 0844 338 5000 (calls cost 4.5p/min plus access charge) for more information.